The German rivalry is already on and is getting more and more competitive as the day passes. 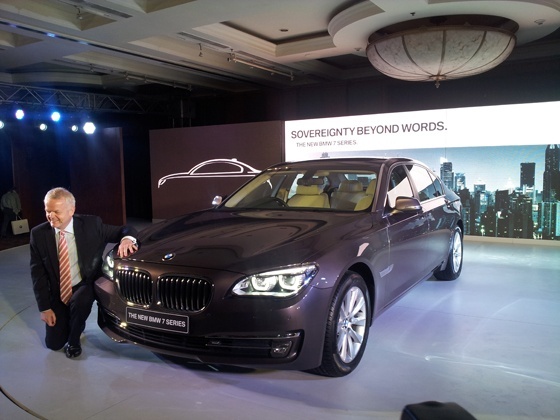 On one hand, Audi has already lined up few launches for 2013, BMW too is not letting it have a small hand on the same. 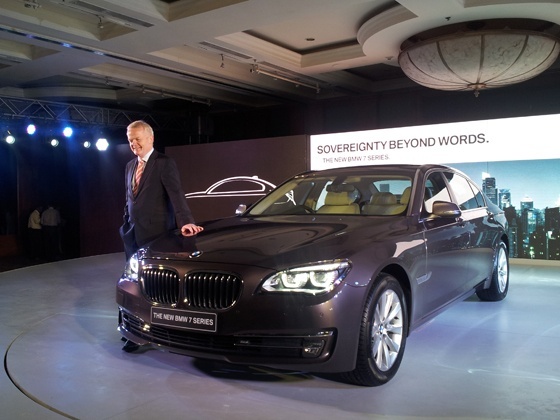 BMW today launched 7 series variant for Indian market starting at Rs 92.90 Lac, ex-showroom, India. the face-lifted BMW 7 Series will take on the likes of the Audi A8 L 3.0 TDI, Jaguar XJ 3.0 and the Mercedes-Benz S Class S 350 L in the battle for the ultimate luxury limousine. The car will be available in both petrol and diesel variants. Powering the only diesel trim currently available to Indian 7 Series buyers is a 2993cc, in line 6 cylinder diesel unit. Fitted with a turbocharger, variable intake geometry and piezo injectors, the engine now delivers 261PS @ 4000 rpm as opposed to 234PS earlier, and torque has also gone up from 520Nm to 560Nm which kicks in as low as 1500rpm. The car is now mated to S-tronic 8 speed automatic transmission which covers 0-100Km in just 6.2 seconds.